and peaceful in my life"
An Eagle Eye View! Secluded! 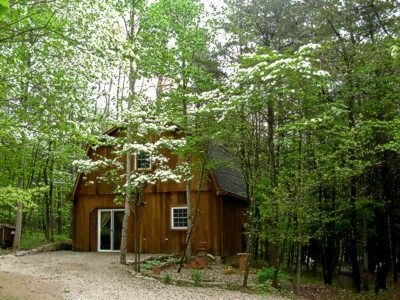 The original Treehouse in the Hocking Hills feels secure and safe when the wind blows. 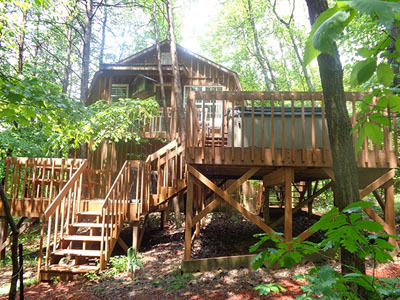 The back porch of the Treehouse is in the tree tops! 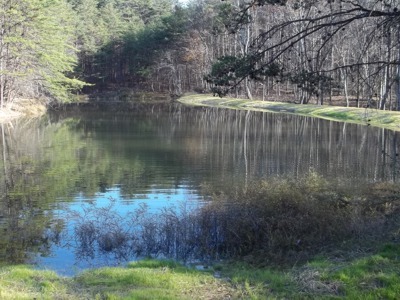 The Treehouse sits on 8 acres complete with a stocked lake for fishing and canoeing. Upstairs, it sleeps 2 on a very comfortable California king bed. The down featherbed and cozy living area, with a couch and recliner, alone makes it worth the trip. 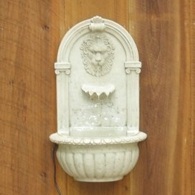 Downstairs, it sleeps 2 on a comfortable queen bed. 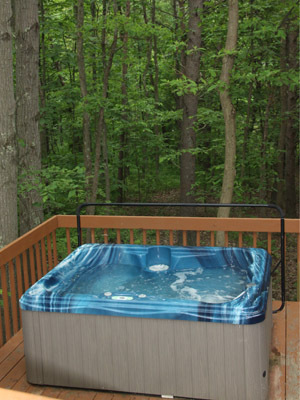 The 4-person hot tub overlooking the lake will help you to relax after hiking in the beautiful Hocking Hills. 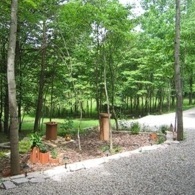 The Tree House is family owned and operated.